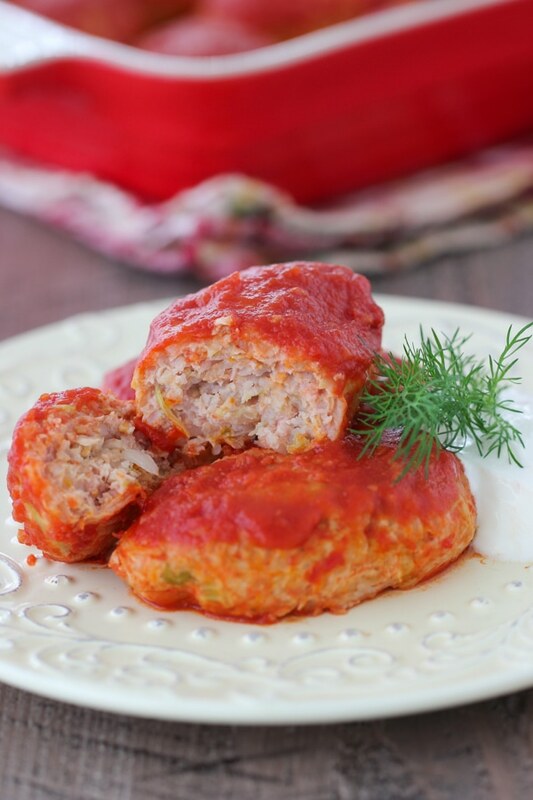 In the Slavic home, the cabbage roll (golubtsi) is very well known. Not only do we eat them around the humble family dinner table, but we make huge amounts of cute little rolls to be served at church events and weddings. 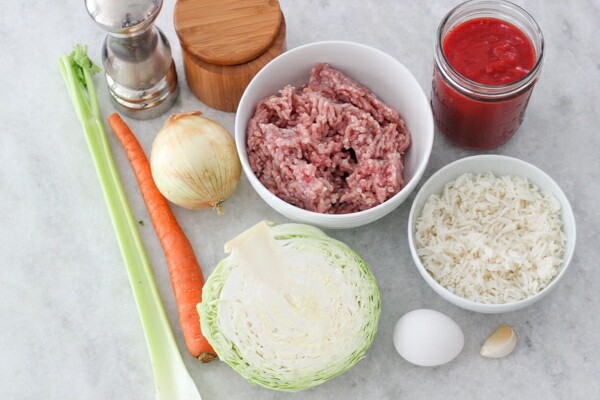 Just like Borsch, there are many variations of the cabbage roll. Today, I would like to introduce the cousin of the cabbage roll. It is for times when you crave the taste of golubtsi, but don’t have the time or desire for the task. These are affectionately called “lazy cabbage rolls”. They may be much quicker to prepare, but they certainly don’t lack in flavor. 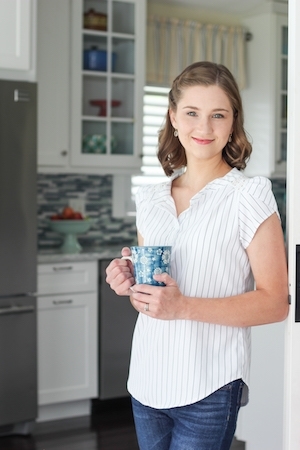 This recipe is so convenient, healthy and most importantly, tastes great too. Melt 1 Tablespoon of butter or oil in a skillet. 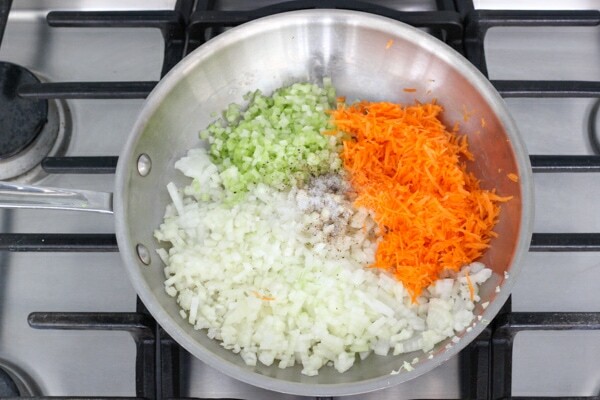 Add onions, carrot and celery. Season with salt and ground black pepper. Cook for about 5 minutes on medium heat, until the vegetables are tender. Add the shredded cabbage, pour in about 1/2 cup of water and cook for another 3-5 minutes, until the cabbage is softened too. Cool slightly. In a large bowl, combine the ground meat, cooked rice, cooked vegetables and 1 1/2 teaspoons of salt and 1/2 teaspoon ground black pepper. 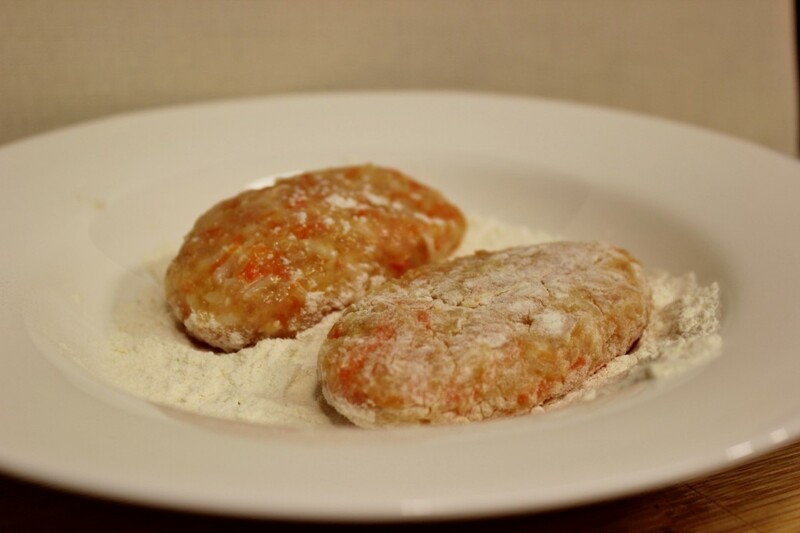 Form the meat mixture into oval patties, about 1/4 cup each, placing them into a 13×9 inch glass baking dish. In the same skillet you were using to cook the vegetables, add the remaining 1 teaspoon of butter or oil and add the minced garlic, sautéing for only about 30 seconds. Pour in the tomato sauce and another 1/2 cup of water. Season with salt and ground black pepper. You can also add some herbs or spices. Bring the tomato sauce to a boil. I love adding a bit of garlic to the sauce to make it more flavorful. If I’m using homemade sauce, it’s already very flavorful and has garlic in it, so I skip adding more garlic, but add the water and heat it up. 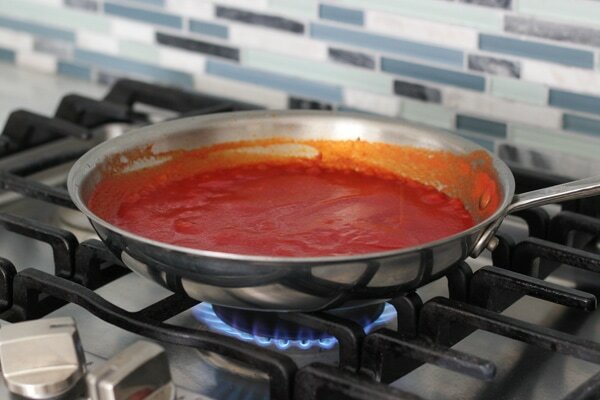 Heating up the sauce takes only a minute, but will really speed up the cooking process. Since I already used the skillet to cook the veggies, it’s not going to be an extra skillet to wash, so I like to do this. 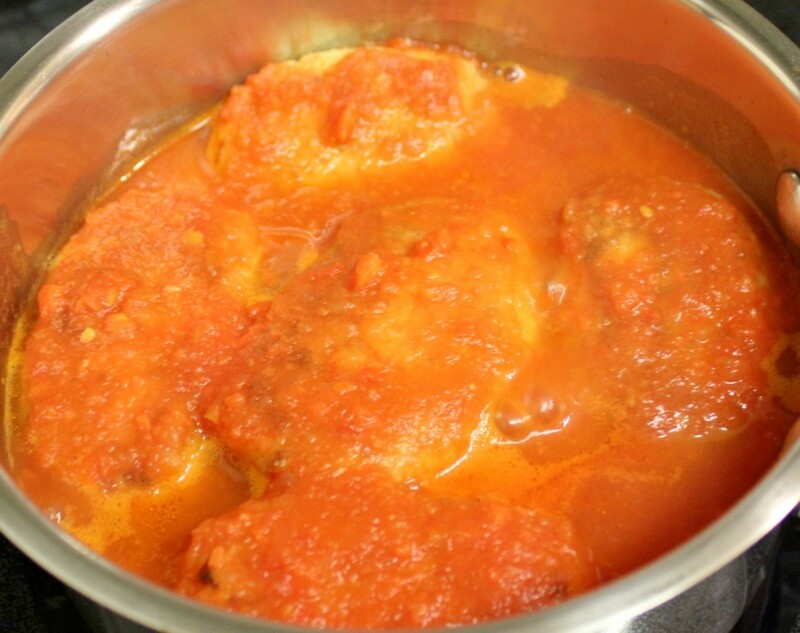 If you don’t heat up the sauce, bake the cabbage rolls in the oven longer. Cover the baking dish with aluminum foil and bake for about 35 min, or until the meat is cooked through and tender. Another variation of making lazy cabbage rolls is shallow frying in a skillet. Heat about 1 Tablespoon oil in a nonstick skillet over medium heat. 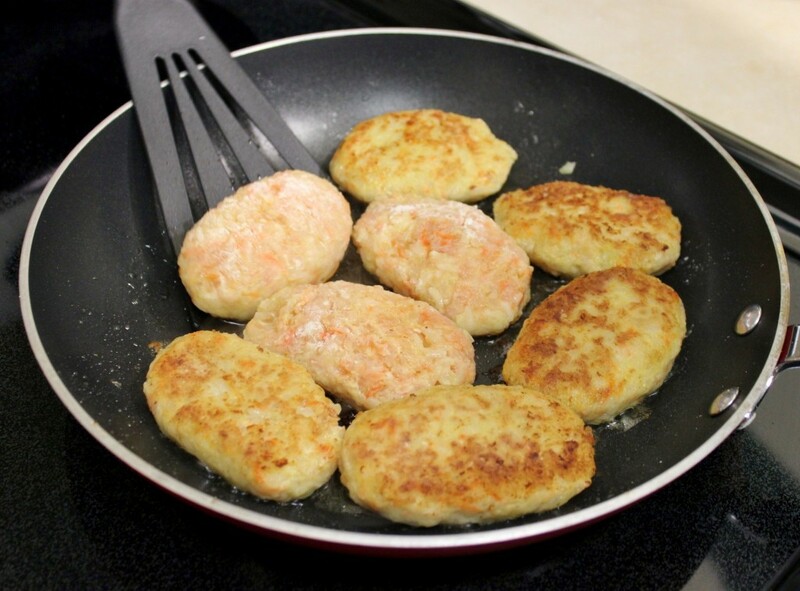 Dredge the oval patties in flour and add to pan, cooking for about 3 min per side, until lightly golden. Cook the cabbage rolls is batches and place them into a medium sized pot. Pour in the tomato sauce and water. Bring to a boil, reduce the heat to low and simmer for 15-20 min, or until meat is cooked through and tender. Serve with sour cream and fresh herbs, like dill or parsley. Melt 1 Tablespoon of butter or oil in a skillet. Add onions, carrot and celery. Season with salt and ground black pepper. Cook for about 5 minutes on medium heat, until the vegetables are tender. Add the shredded cabbage, pour in about ½ cup of water and cook for another 3-5 minutes, until the cabbage is softened too. Cool slightly. In a large bowl, combine the ground meat, cooked rice, cooked vegetables and 1½ teaspoons of salt and ½ teaspoon ground black pepper. 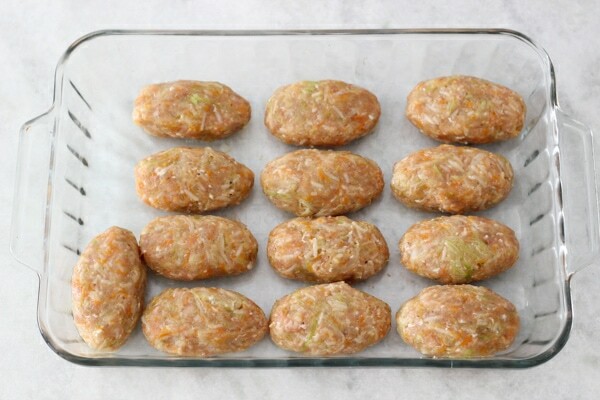 Form the meat mixture into oval patties, about ¼ cup each, placing them into a 13x9 inch glass baking dish. 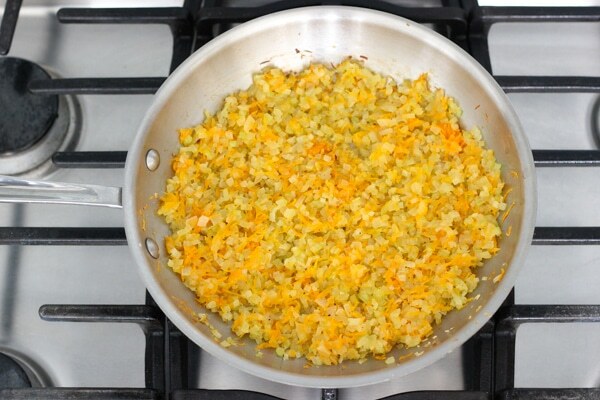 In the same skillet you were using to cook the vegetables, add the remaining 1 teaspoon of butter or oil and add the minced garlic, sautéing for only about 30 seconds. Pour in the tomato sauce and another ½ cup of water. Season with salt and ground black pepper. You can also add some herbs or spices. Bring the tomato sauce to a boil. I love adding a bit of garlic to the sauce to make it more flavorful. If I'm using homemade sauce, it's already very flavorful and has garlic in it, so I skip adding more garlic, but add the water and heat it up. Heating up the sauce takes only a minute, but will really speed up the cooking process. Since I already used the skillet to cook the veggies, it's not going to be an extra skillet to wash, so I like to do this. 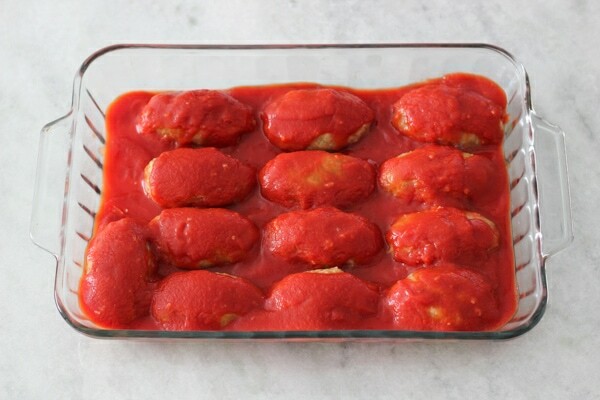 If you don't heat up the sauce, bake the cabbage rolls in the oven longer. This will be the next thing i try!! I love golubtsi, but have never made them. I’ll let you know how they turn out. So excited I found your blog 🙂 I have a cooking blog too… or more like I “did” 🙂 What do you normally make as a side dish to these? We usually eat these with sour cream and bread. Как долго надо капусту варит’? Just cook the cabbage until it’s softened, a few minutes. It depends on the cabbage. 3-5 minutes, more if it’s thicker. Now that’s Super lazy. I bet the taste is better too cuz if I use cooked cabbage the taste and vitamins are out. Oh, my goodness, these were good! I saved time by buying a bag of shredded cabbage (made for cole slaw) at the supermarket and just chopping it smaller. 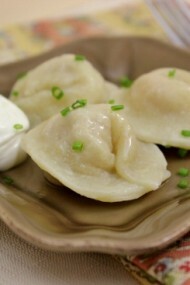 Hi Olga – I’ve been searching for a good Russian food blog and in finding yours I think I’ve found it! If you need another idea, I’ve done an even lazier golibtsi in casserole form by mixing cabbage, beef, rice, tomato, all the other ingredients in a casserole dish and then baking it. I’ve seen versions of it online, you should try it! Thanks for the suggestions, Yana! I’ve seen many of those online, they DO look great. That’s great, Erica! Thanks so much for taking the time to let me know. how many oz in diced tomato cans did u use? Olga, I found your blog during the 2014 Winter Olympics. 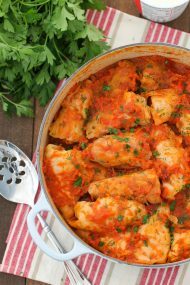 I planned our menu for the week using all Russian recipes. 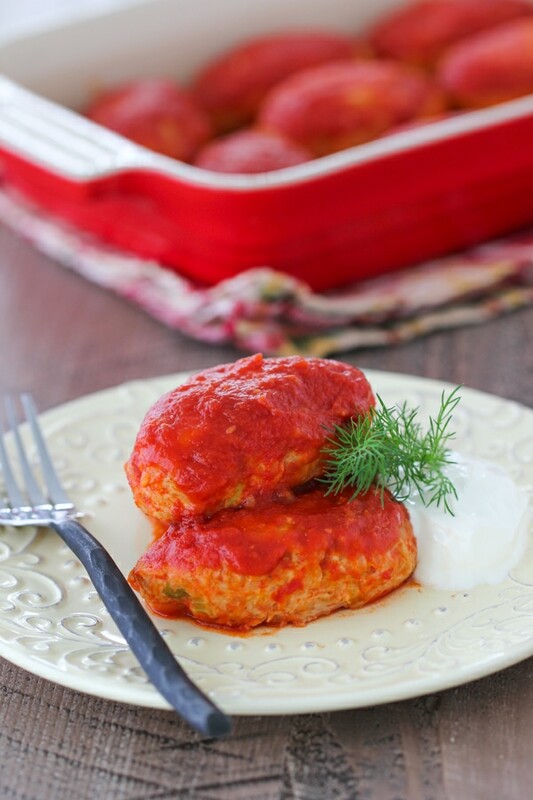 Your lazy cabbage rolls have been a regular addition to our dinner table. All of your recipes are well written and delicious. Keep sharing! I’m so glad you have been enjoying some of my recipes, Jessica. That’s so awesome! Thank you for your kind words. These were sooo yummy! 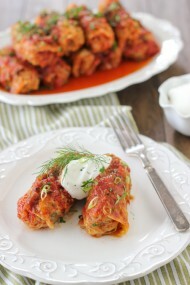 I love cabbage rolls but failed several times making the original recipe. I was surprised that these tasted like cabbage rolls. Thank you, thank you for this amazing recipe! I had a question, I’m going to do a double batch, with 2.5 lbs of ground meat, do I put 2 eggs? Yes, if you want to make a double batch just double all the ingredients. I made lazy stuffed cabbage today for the first time.. They are delicious, loved by all. Yay! I’m so happy to hear that, Margaret. Olga, thank you for a delicious recipe. My 3 kids don’t like regular cabbage rolls so I never make them but decided to try this recipe since cabbage is kind of hidden and my sister-in-law recommended your recipe. I tripled this recipe but I did use short grain organic brown rice that I cooked quickly in pressure cooker (~15 minutes to replace white rice) and let’s just say it turned out very awesome. More than half was eaten in one dinner so will need to plan to make some again soon. 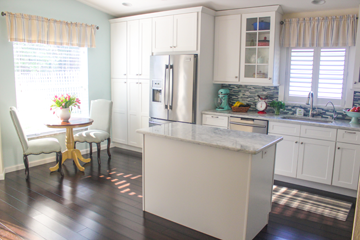 Thank you for sharing and all the yummy recipes that you share with us. God bless!!! I’m so happy to hear that, Mila! Thank you for taking the time to write. I remember when all my siblings were still little, they weren’t big fans of the traditional cabbage rolls either, but whenever Mom made the lazy version, they would gobble them up:). (Raisin, Apple, And Lamb Stuffed Cabbage) Fruit & meat w/herbs makes another unfamiliar combination for stuffing cabbage leaves. Rice always provides a filler & tomato juice the medium of cooking tolma. Another premier example of Georgian culinary ingenuity. 1. Mix lamb w/raisins & herbs & process to a smooth consistency. 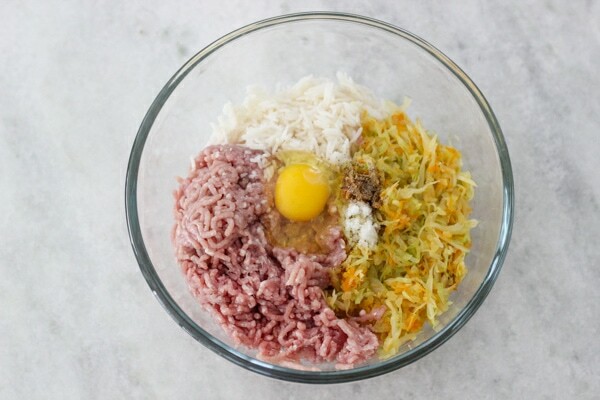 Mix w/salt & rice. Stuffed cabbage leaves w/mixture. 2. 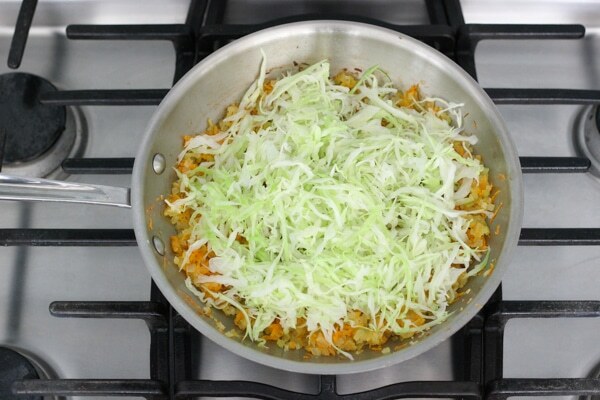 Put stuffed cabbage in one layer in a large pan or skillet & scatter over over it half of apple slices & onion slices. Add another layer of stuffed cabbage & balance of apples & onions. Pour tomato water over all & bring to a boil. Cover pan & cook over low heat for 1 hr. Serve warm w/bread. When you click print the list of ingredients and instructions change on the printed copy. We made these last night and liked them. I almost forgot to add the egg, though. It’s in the list of ingredients but not mentioned in the recipe text. Best cabbage rolls ever!!!! They melted in my mouth! My husband and picky kids hate cabbage but they gobbled these rolls down!!! Thanks so much for the great recipe! That’s the best compliment! 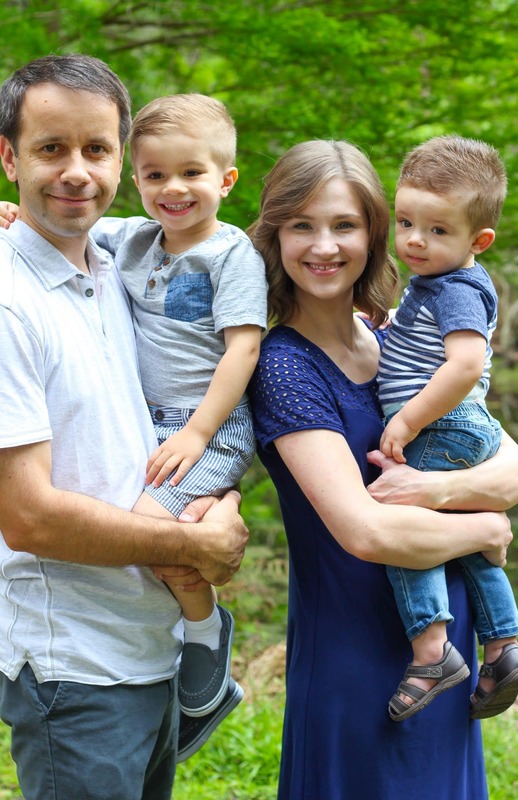 So happy you and your family enjoyed the Cabbage Rolls, Yuliya.